For other people named Edward O'Brien, see Edward O'Brien (disambiguation). Edward John O'Brien (born 15 April 1968) is an English guitarist and member of the alternative rock band Radiohead. O'Brien attended Abingdon School in Oxford, England, where he met the other members of Radiohead. O'Brien makes extensive use of effects units to create atmospheric sounds and textures, and provides backing vocals. In 2010, Rolling Stone named O'Brien the 59th greatest guitarist of all time. Abingdon School is a day and boarding independent school for boys in Abingdon, Oxfordshire, England. The twentieth oldest independent British school, it celebrated its 750th anniversary in 2006. Siouxsie and the Banshees were an English rock band, formed in London in 1976 by vocalist Siouxsie Sioux and bass guitarist Steven Severin. They have been widely influential, both over their contemporaries and with later acts. Mojo rated guitarist John McGeoch in their list of "100 Greatest Guitarists of All Time" for his work on "Spellbound". The Times cited the group as "one of the most audacious and uncompromising musical adventurers of the post-punk era". Adam and the Ants were an English rock band active during the late 1970s and early 1980s. The group, which lasted from 1977 to 1982, existed in two incarnations, both fronted by Adam Ant. The first, founded in May 1977 and known simply as The Ants until November that year, achieved considerable cult popularity during the transition from the punk rock era to the post-punk and new wave era, and were noted for their high camp and overtly sexualised stage performances and songs. The final line-up of this first incarnation – Dave Barbarossa, Matthew Ashman and Leigh Gorman – left the band in January 1980 at the suggestion of then-de facto manager Malcolm McLaren, to form the instrumentalist personnel of the controversial Bow Wow Wow. Depeche Mode are an English electronic band formed in Basildon, Essex, in 1980. 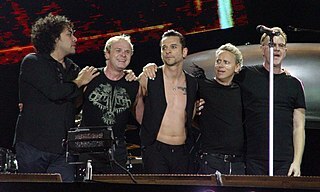 The group currently consists of a trio of Dave Gahan, Martin Gore, and Andy Fletcher (keyboards). Thomas Edward Yorke is an English musician best known as the lead singer and main songwriter of the alternative rock band Radiohead. A multi-instrumentalist, he mainly plays the guitar and piano. He is known for falsetto; in 2008, Rolling Stone ranked him the 66th greatest singer of all time. "Creep" is a song by the English alternative rock band Radiohead, released as their debut single in 1992. It appeared on their first album, Pablo Honey (1993). "Creep" was not initially a chart success, but became a worldwide hit after being rereleased in 1993. Radiohead took elements from the 1972 song "The Air That I Breathe"; following legal action, Albert Hammond and Mike Hazlewood are credited as cowriters. The members of Radiohead grew weary of "Creep" in later years, and refused to perform it for a period. It is included in Radiohead: The Best Of. OK Computer is the third studio album by English rock band Radiohead, released on 16 June 1997 on EMI subsidiaries Parlophone and Capitol Records. The members of Radiohead self-produced the album with Nigel Godrich, an arrangement they have used for their subsequent albums. Other than the song "Lucky", which was recorded in 1995, Radiohead recorded the album in Oxfordshire and Bath between 1996 and early 1997, mostly in the historic mansion St Catherine's Court. The band distanced themselves from the guitar-centred, lyrically introspective style of their previous album, The Bends. OK Computer's abstract lyrics, densely layered sound and eclectic range of influences laid the groundwork for Radiohead's later, more experimental work. 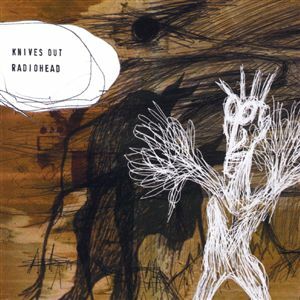 Kid A is the fourth studio album by the English rock band Radiohead, released on 2 October 2000 by Parlophone. After the stress of promoting Radiohead's acclaimed 1997 album OK Computer, songwriter Thom Yorke envisioned a radical change in direction. The band replaced their guitar rock sound with synthesisers, drum machines, the ondes Martenot, string orchestras and brass instruments, drawing influence from electronic music, krautrock, jazz, and 20th-century classical music. They recorded Kid A with OK Computer producer Nigel Godrich in Paris, Copenhagen, Gloucestershire and their hometown Oxford, England. The sessions produced over 20 tracks, and Radiohead split the work into two albums: Kid A, and Amnesiac, released the following year. David Howell Evans, better known by his stage name the Edge, is an Irish musician and songwriter best known as the lead guitarist, keyboardist and backing vocalist of the rock band U2. A member of the group since its inception, he has recorded 14 studio albums with the band as well as one solo record. As a guitarist, the Edge has crafted a minimalistic and textural style of playing. 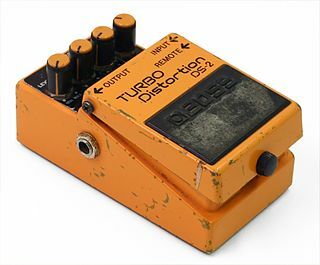 His use of a rhythmic delay effect yields a distinctive sound that has become a signature of U2's music. 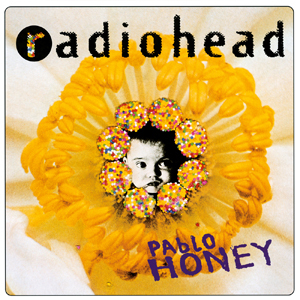 Pablo Honey is the debut studio album by English rock band Radiohead. It was released on 22 February 1993 in the United Kingdom by Parlophone and in the United States by Capitol Records. It was primarily produced by Sean Slade and Paul Q. Kolderie and recorded at Chipping Norton Recording Studios in Oxfordshire from September to November 1992. The album's title comes from a prank call skit by The Jerky Boys in which the prank caller says to his victim, "Pablo, honey? Please come to Florida!" Jonathan Richard Guy Greenwood is an English musician and composer. He is the lead guitarist and keyboardist of the alternative rock band Radiohead, and has written a number of film scores. 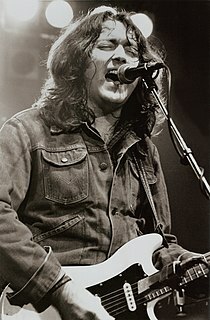 William Rory Gallagher was an Irish blues and rock multi-instrumentalist, songwriter, and producer. Born in Ballyshannon, County Donegal, and brought up in Cork, Gallagher recorded solo albums throughout the 1970s and 1980s, after forming the band Taste during the late 1960s. His albums have sold over 30 million copies worldwide. 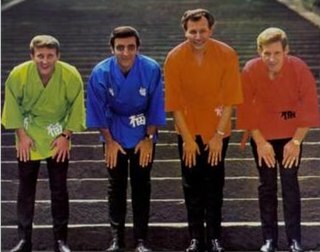 The Ventures are an American instrumental rock band, formed in 1958 in Tacoma, Washington, by Don Wilson and Bob Bogle. The band, a quartet for most of its existence, helped to popularize the electric guitar in the United States and across the world during the 1960s. While their popularity in the United States waned in the 1970s, the group remains especially revered in Japan, where they tour regularly to this day. The classic lineup of the band consisted of Wilson, Bogle, Nokie Edwards, and Mel Taylor (drums). 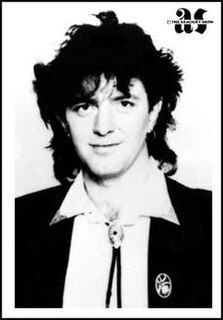 John Alexander McGeoch was a Scottish pop music guitarist who played with several bands of the post-punk era, including Magazine, Siouxsie and the Banshees and Public Image Ltd.
"Knives Out" is a song by English rock band Radiohead. It is the second single released from Radiohead's fifth album, Amnesiac (2001), and features "chiming" guitars influenced by the British rock band the Smiths. It reached number 13 on the UK Singles Chart number one on the Canadian Singles Chart. "Fake Plastic Trees" is a song by the English alternative rock band Radiohead from their second studio album The Bends (1995). It was the third single to be released from that album in the UK, but in the US, it was released as the band's first single from the album. "Fake Plastic Trees" marked a turning point in the band's early career, moving away from the grunge sound of their earlier hit single "Creep". The song charted on the UK Singles Chart, the New Zealand Singles Chart, the US Modern Rock Tracks chart, and the Canadian Rock/Alternative chart, but it did not make a substantial commercial impact elsewhere. Juju is the fourth studio album by English alternative rock band Siouxsie and the Banshees. It was recorded at Surrey Sound studio with Nigel Gray as co-producer, and was released on 6 June 1981 by record label Polydor. Two singles were released from Juju: "Spellbound" and "Arabian Knights". "Everything in Its Right Place" is a song by the English rock band Radiohead, the opening track on their fourth album Kid A (2000). It features synthesiser, manipulated vocals, and lyrics inspired by the stress singer Thom Yorke experienced while promoting Radiohead's 1997 album OK Computer. "All I Need" is a song by English alternative rock band Radiohead, produced by Nigel Godrich, and released on their seventh studio album In Rainbows (2007). 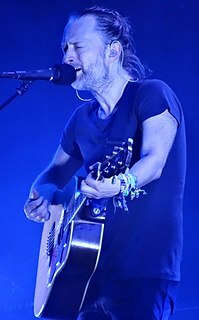 One of the band's most direct love songs, "All I Need" is a downbeat track which sees frontman Thom Yorke singing of obsession and unrequited love. "I Promise" is a song by the English rock band Radiohead, recorded during the sessions for their third album, OK Computer (1997). Radiohead felt it was not strong enough to release at the time; it went unreleased until 2017, when it was included on the OK Computer reissue OKNOTOK 1997 2017, and released as a download with a music video. Joshua Adam Klinghoffer is an American musician best known as the current guitarist for the rock band Red Hot Chili Peppers, with whom he has recorded two studio albums, I'm with You (2011) and The Getaway (2016), and the b-sides compilation, I'm Beside You (2013). Klinghoffer took the place of his friend and frequent collaborator John Frusciante in 2009, after a period as a touring member. Klinghoffer was inducted into the Rock and Roll Hall of Fame with the Red Hot Chili Peppers in 2012, becoming the Hall of Fame's youngest-ever living inductee at age 32, passing Stevie Wonder, who was 38 when he was inducted. ↑ McLean, Craig (14 July 2003). "Don't worry, be happy". The Sydney Morning Herald . Retrieved 25 December 2007. ↑ "Ed O'Brien from Radiohead talks about the first time he jammed with Thom., Ed O'Brien, The First Time With... - BBC Radio 6 Music". BBC. Retrieved 8 October 2016. 1 2 Randall, Mac (1 April 1998). "The Golden Age of Radiohead". Guitar World . ↑ Ross, Alex (20 August 2001). "The Searchers". The New Yorker . Archived from the original on 14 February 2008. Retrieved 16 March 2011. ↑ "Jonny Greenwood - 100 Greatest Guitarists". Rolling Stone. Retrieved 22 June 2016. ↑ "Q Magazine: The 100 Greatest British Albums of All Time - How many do you own? (Either on CD, Vinyl, Tape or Download)". List Challenges. ↑ "Radiohead's album best of all time - OK?". ↑ "Radiohead's OK Computer named best album of the past 25 years". Telegraph.co.uk. 22 December 2010. 1 2 3 4 5 6 7 Michael Astley-Brown, Rob Laing (14 November 2017). "Radiohead's Ed O'Brien: "I was always drawn to sounds that didn't sound like the guitar". MusicRadar. Retrieved 19 November 2017. ↑ Reynolds, Simon (July 2001). "Walking on Thin Ice". The Wire. Archived from the original on 4 February 2012. Retrieved 17 March 2007. ↑ "The Best You Can Is Good Enough: Radiohead vs. The Corporate Machine < Features | PopMatters". www.popmatters.com. Retrieved 3 October 2015. ↑ Cavanagh, David (October 2000). "I Can See The Monsters". Q. 1 2 "Radiohead's Guitarist Created His Own Instrument and Helped Change the Band's Music". Esquire. 14 November 2017. Retrieved 14 November 2017. ↑ Jonathan, Emma. "BBC Worldwide takes exclusive Radiohead performance to the world". BBC. 3 May 2011. Retrieved 15 June 2011. ↑ Greene, Andy; Greene, Andy (30 March 2019). "Radiohead, Stevie Nicks, The Cure, Janet Jackson Enter Rock Hall at Epic Ceremony". Rolling Stone. Retrieved 1 April 2019. ↑ "ED MUSIC? - NME". NME. 24 April 2003. Retrieved 20 November 2017. ↑ "New 7 Worlds Collide (Ed O'Brien/Neil Finn/Jeff Tweedy/Johnny Marr) – "Bodhisattva Blues" (". Stereogum. 31 August 2009. Retrieved 20 November 2017. ↑ Youngs, Ian (12 March 2009). "Music stars call for more power". BBC News. ↑ "Radio 5 live Programmes – Fighting Talk, Music Special". BBC. 16 April 2011. Retrieved 1 December 2011. ↑ "Summer NAMM 2017: Fender launches Ed O'Brien Sustainer Stratocaster guitar". MusicRadar. Retrieved 13 July 2017. 1 2 "Ed O'Brien on the power of nature, his debut solo album, and what's next for Radiohead". www.nme.com. Retrieved 17 April 2019. 1 2 "Ed O'Brien eyes September release for debut solo album, plans to tour". Consequence of Sound. 9 April 2019. Retrieved 11 April 2019. 1 2 3 "Radiohead's Ed O'Brien: Hail to the Texturalist" . Retrieved 29 November 2017. 1 2 3 "Ed O'Brien – 100 Greatest Guitarists: David Fricke's Picks" . Retrieved 24 August 2015. ↑ "Ed O'Brien – 100 Greatest Guitarists: David Fricke's Picks" . Retrieved 24 August 2015. ↑ Craig McLean (10 December 2007). "Radiohead: Caught in the flash, part 1 | Music | The Observer". London: Guardian. Retrieved 8 November 2011. ↑ Radiohead's interviews' archive (23 September 2016). "(2016/09/23) Virgin Radio, Edith Bowman, Ed" – via YouTube. 1 2 "Radiohead's Ed O'Brien: "Cricket Was My Refuge"". Wisden . 31 August 2018. Retrieved 30 September 2018. ↑ Odell, Michael (July 2003). "Silence! Genius At Work". Q (204): 98. 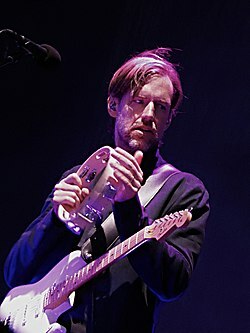 ↑ "A Conversation with Radiohead's Ed O'Brien | Fender Artist News" . Retrieved 12 September 2016. Randall, Mac (2000). Exit Music: The Radiohead Story. Omnibus Press. ISBN 0-385-33393-5. StringsReunited.com : Includes a regular blog by Plank giving technical information.